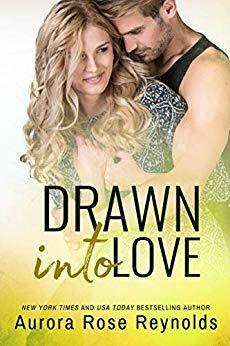 Drawn Into Love was a sweet, slow burn romance featuring two people risking their hearts at a second chance of finding the love of their lives. Courtney was devastated when her marriage ended, but with her move to NYC she has embraced her new single status. Not looking for a new relationship, when she meets Lucas, she immediately knows he is a special, genuine man. Lucas knew his ex wasn’t the woman for him, but when she became pregnant he decided being with her was worth having a stable family life for his daughter. Until she proved that she wasn’t the type of woman who sticks around and left them for greener pastures. Meeting someone like Courtney, whose love shines through everything life throws at her shows him that she is the kind of woman he is meant to be with, for him and his daughter. I enjoyed this book. With an entertaining plot and two charming characters who find the person that fulfills them, and the obstacles they face on their road to their HEA.